Kinshasa 11-04-2019 Politics - These agents claim to have signed a contract with the CENI that provided for the payment of US $ 400 each for the rendered services. 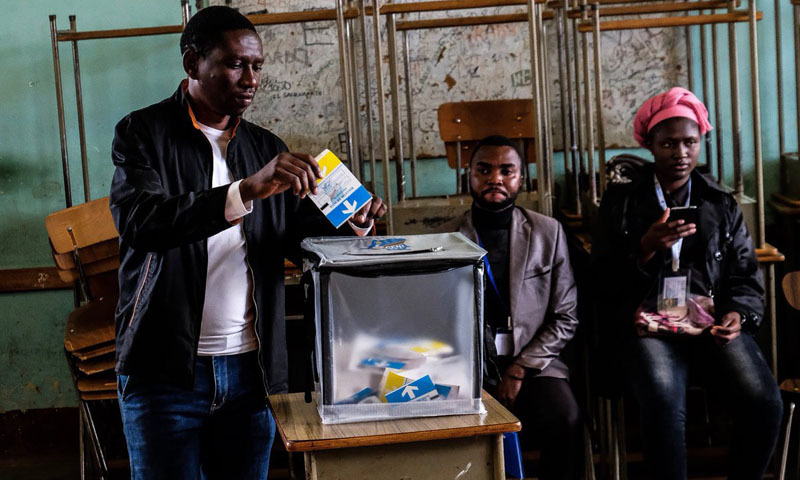 A dozen of electoral agents, including technicians and heads of polling centers who worked during the elections of March 31 in the town of Butembo (Nord Kivu), stormed the local headquarters of the Independent National Electoral Commission, (CENI), to claim the rest of their premium. These agents claim to have signed a contract with the CENI that provided for the payment of US $ 400 each for rendered services. But, until then, they regret, they received only 300 dollars each and "nothing reassures that they will receive the remaining 100". "We have been wronged in our rights. Our rights were not respected, considering the contract we signed. At the end of our work we had to collect $ 400, but they only gave us $ 300. They say that for the remaining $ 100 they will call to the government to budget them. We say no, the elections were pre financed. We signed our contracts knowing that the budget was already allocated to the management body of the local antenna. We exchanged with the CENI local official and unfortunately, she tells us that locally she has no solution to give us. We do not recognize another employer, because it is with her here (Butembo, Editor's note) that we signed our contracts. If they say we have to wait for the government's reaction, we are afraid we will not succeed, "revealed one of them under anonymously. These agents helped to train the members of the polling stations, deploy the equipment and troubleshoot the voting machines that were malfunctioning. According to this group of protesters, there are 220 electoral agents involved in this situation, including 110 technicians and 110 polling center heads. This represents US 22 thousand dollars not yet paid. On the local antenna of the CENI, we recognize the problem. Mrs Georgette Kibendelwa, head of the antenna, indicates however that it is not possible for a solution to be found at the local level. According to her, it is a similar situation in all the four electoral districts that have recently organized the polls, namely Butembo, Beni-town, Beni-Territory and Yumbi and that "only Kinshasa can give a favorable result".